In Elizabeth Warren’s case, has decision already been made for her? 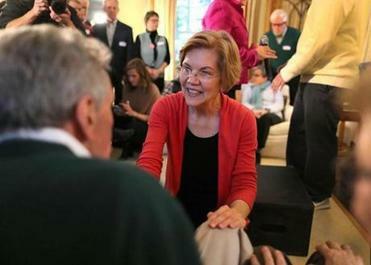 Senator Warren (with husband Bruce) said in December she was exploring a 2020 run. Re “Warren can’t beat Trump” by Joan Vennochi (Opinion, Feb. 7): Much as I admire Senator Elizabeth Warren, I agree that she would not be able to defeat Donald Trump in 2020. I think Warren would make a great president — she is a real fighter for the working people of our nation. However, the only qualification for the Democratic nominee should be whether that person can defeat Trump. Warren has too much baggage — all that “Pocahontas” nonsense — and she is too much like Hillary Clinton. Whether right or wrong, too many Americans would see her as a scold. We need a younger candidate, preferably a woman or a minority, to energize the Democratic base and motivate people to get out and get rid of the national nightmare that is the Trump presidency. Kirsten Gillibrand, Kamala Harris, Cory Booker, and Julián Castro all would have a better chance of achieving that goal. The best thing Elizabeth Warren can do — what she needs to do — is put all the facts about her past in front of voters and stop the drip-drip-drip of fresh revelations. I will always vote to reelect Warren to the Senate, but she should not be the Democratic nominee. Joan Vennochi (“Warren can’t beat Trump”) is assisting the GOP in its effort to tear down Elizabeth Warren, whom the Republicans probably know may be the most formidable opponent to President Trump in 2020. While Vennochi’s intentions may be to find the best candidate to beat Trump in the next election, doesn’t she realize that every candidate on the Democratic side will be exposed by the Republican attack machine as having some so-called fatal flaw? For example, there’s Kamala Harris and her criminal prosecutions; Joe Biden and busing; Amy Klobuchar and her harshness to her staff. Don’t let the Republicans get away with it. Focus on the issues that are important, such as health care, corruption, the environment, and taxation, and make sure the message to the American people is clear. On all these issues, Warren is the most qualified, and most electable. I hope that Senator Warren will heed Joan Vennochi’s message. There is a huge difference between pride for having a Native American ancestor and claiming on a legal document that you are an “American Indian.” The report of her Texas bar registration card is just stunning. The Democratic Party has many alternatives to Warren for the 2020 presidential race. She should decline to announce her candidacy. Elizabeth Warren essentially has been disqualified from a presidential run by virtue of her claim, in 1986, to Native American race on her Texas bar registration card. Still, the party should plan on putting her extraordinary knowledge and talent to use. Should the Democrats regain the presidency in 2020, there would be no better candidate for secretary of the treasury than Senator Warren. 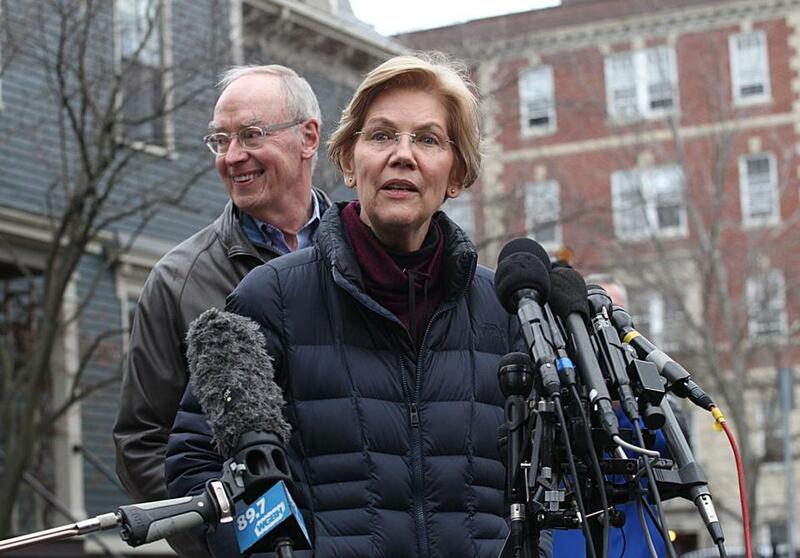 To give Warren the authority to redesign financial rules and regulations would seem the ideal way to begin to shrink the obscene and dangerous inequality between the very wealthy and the nation’s working and middle classes.